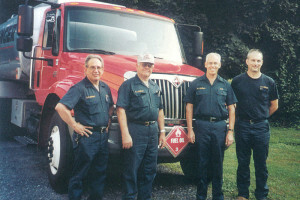 Home Oil Company | Lancaster, PA | BG Mellinger & Sons Inc.
B.G. Mellinger & Son is a family owned and operated business (a home oil company) that has been a part of the community since 1880. Our goal is to provide friendly efficient service with a personal touch. One way we have chosen to do that is to have a “real person” answer the phone during regular office hours, not an electronic voice menu. We have a service department that is “on call” 24/7 so that our customers can have peace of mind that their heating and cooling needs are taken care of. We believe that we can provide quality, comfort and reliability that other full service oil companies can not match. We welcome the opportunity to serve you. B.G. Mellinger & Son Inc.
As in the past, we still strive to serve the community with good service and fulfill the Oil, Heating and Air Conditioning needs of the community.